When we age our faces show the first signs. Wrinkles, Laugh Lines, Crow’s feet etc. show up when we age and more specifically for women. Being panicky, most of the women spend many bucks trying to prevent anti aging signs (Specifically on face). But as a better alternative there are some home made preparations which prevents anti aging better than many of the well known creams etc. I will put down those alternatives in the next paragraph, but I may not detail about recipe or preparations for the being. May be after some days, in any of subsequent articles I will give preparation details. Now let us just look at the home made remedies for anti aging in a brief manner. Collagen is a chemical found in skin which makes the skin very firm and prevents wrinkles from appearing. Fewer wrinkles mean a very youthful glow to the face. Carrot is rich in Vitamin A which in turn boosts “Collagen” of the skin. Potatoes along with Carrots make a strong anti aging paste to be applied all over the face. Yogurt is also rich in Vitamin A which is an anti aging element. If consumed daily it produces wrinkle-preventing nutrients. Also it should be applied daily all over the face along with honey, lemon juice, Vitamin E (Evion 400) and pinch of turmeric. The procedure of preparation I may post in future articles. Egg is rich in many anti-aging elements. For example egg has omega3 fatty acids which fill the facial skin with Vitamin A to make it smooth and full. Apart from that Egg has zinc which is a strong anti – aging element. On top of all Egg Yolk has a special anti – aging composition which is called biotin which in turn helps in fat production in the body and also repairs damaged skin. Rose in itself has regeneration properties. It also increases blood supply in the veins and capillaries. By doing this it reduces thread veins. Rose water also has a calming effect and also reduces blemishes under the eyes. Rose water along with lemon juice and drops of glycerine does the trick. 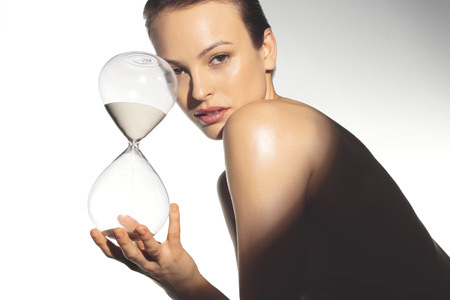 Sorry I have to end my current post on anti-aging home remedies, because of time constraints. I have few more home made preparations which I may post in the near future.